Your antibiotics could be making you fat. They could also be triggering asthma, allergies, depression, colitis, malnutrition, impaired immune function, and life-threatening sepsis. Antibiotics are commonly prescribed to cure bacterial infections — and they usually do — but a growing body of evidence indicates antibiotics are more harmful than once expected. 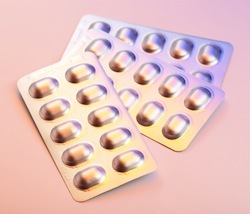 Antibiotic-resistant bacteria have made headlines in recent years as one bacterial pathogen after another becomes immune to the bacteria-killing effect of many commonly prescribed antibiotics. Antibiotic use often comes with side effects that include nausea, diarrhea, and vaginal infections. These side effects alone are enough to warrant more judicious use of these drugs so many people take for granted but a new study indicates the side effects can be much more sinister than previously imagined. It is important to note that antibiotics kill bacteria only. They have no effect on viruses and should never be prescribed or taken when a virus causes illness or infection. Approximately 70% of the children in the US take antibiotics at least once a year and approximately 40% of adults do, too. Roughly one in 10 people treated with antibiotics will experience adverse side effects. In addition to prescription use, the human food supply is thought to be heavily laced with antibiotics from meats and dairy products. Each year, billions of livestock animals — mostly cows, pigs, chickens, and turkeys — are fed antibiotics on a daily basis to control infection and to fatten up the animals so they can go to slaughter sooner. Some experts suggest as much as 80% of all antibiotic use in the US occurs in our livestock animals. It has been generally understood that antibiotics kill off the bad bacteria causing illness but they also kill off the good bacteria that reside in the human digestive tract. Killing off the good bacteria induces nausea, bacteria, and microbial imbalances that cause vaginal infections. A new study from Oregon State University (OSU) in Corvallis indicates the effects of antibiotics go much deeper, especially when antibiotics are taken over a long period of time. Andrey Morgun, assistant professor in the OSU College of Pharmacy, has found that antibiotics also damage the intestinal epithelium, which can be described as the velvet-like lining of the intestines. These tiny tube-like structures take nutrients from food and delivers them to the bloodstream. The epithelium also acts as a barrier that keeps intestinal matter in the gut where it belongs. When these tiny structures are damaged by chronic antibiotic use, nutrients cannot be transported into the bloodstream, leading to malnutrition that produces symptoms of depression, obesity, and impaired immune function. Morgun’s research team also discovered antibiotics jeopardize the health of mitochondria, tiny organelles within every cell. Mitochondria convert food into fuel and govern the health and death of the cell. Mitochondria is separate from the cell nucleus, where DNA is stored, but mitochondria has DNA of its own. This separate DNA might be explained by the theory of endosymbiosis. The theory puts the origin of cellular mitochondria as far back as 1.5 billion years ago when a one-celled bacteria is thought to have been engulfed by a separate species of one-celled organism. The two merged cells fared better together than as separate cells so they evolved together as one ever since. Morgun’s research indicates antibiotics attack the mitochondria in every cell of the body as it looks for all bacteria-like organisms to destroy. When the mitochondria becomes damaged, it can no longer maintain cellular health and illness follows. Certain genes are required to monitor communications between the host (human) and its microbial biome. Antibiotics affect these genes and interrupt the flow of communication between host and microbe. Lack of communication is always risky and, in this case, it causes illnesses that may not seem linked to bacterial infection or antibiotic use. Morgun suggests we consider addressing bacterial infection in the opposite way it’s currently done: instead of killing off all the body’s bacteria with antibiotics, it might be safer and more effective to increase the number and improve the health of the good bacteria so it overpowers and keeps the bad bacteria at bay. "Unwanted impact of antibiotics broader, more complex than previously known." OSU / Oregon State University. Oregon State University, 10 Feb. 2015. Web. 20 Mar. 2015. "General Background: When & How to Take Antibiotics." APUA / Alliance for the Prudent Use of Antibiotics. Tufts University, 2014. Web. 20 Mar. 2015.